And made My heritage an abomination." A couple of years ago, we discussed how a landfill project in South Texas didn't sit right. It seemed like TCEQ was telling local residents one thing and telling something different to the developers. We furthermore remarked that one of those afore mentioned project developers seemed to be playing an environmental smoke and mirrors game. In late March, TCEQ announced another hearing on the topic. We have a source who's been following the issue with whom we've been corresponding by e-mail since the hearing was announced. We're reprinting the relevant sections with permission. 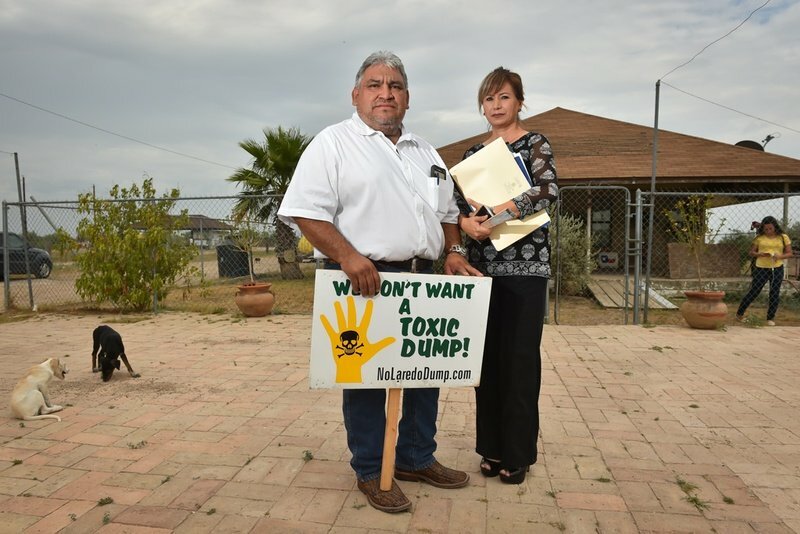 That Laredo landfill issue is still brewing… The TCEQ has set a public meeting for May 1 in Laredo. The TCEQ has also extended the public comment period for 30 days beyond the date of the public meeting date. The 953-acre Laredo floodplain landfill complex has never received the required county floodplain development authorization, never addressed underground oil and gas pipelines, and never resolved property ownership conflicts or otherwise complied with TCEQ’s own requirements specifically imposed in Notice of Deficiency issued by the agency on October 11, 2016. TCEQ's testimony related to 100-year flood plains occurred at an interim hearing of the house Environmental Regulation committee in January; Webb County's letter outlining the violations in this specific instance can be viewed here. The residents still appear to be worried. And speaking of TCEQ, they’ve set a public meeting for about two weeks from now, on May 1 in Laredo. The public comment period will also be extended by TCEQ for 30 days beyond that May 1 public meeting. Opponents also point to Webb County’s Planning Department having denied the landowner a floodplain development permit, which is needed to move forward. So there are more than a few things here that do not look quite right on spec. Anyway, if you’re in Laredo and you’re looking to watch a big public fight go down—or you want in on it—the TCEQ meeting will be on May 1 at 7PM at Texas A & M International University, Student Center, 2nd Floor Ballroom, Room 203, 5201 University Boulevard, Laredo, Texas 78041-1900.